The President’s speech to the nation on Monday night marked a week of ceaseless bombing of the Libyan coastline. Within the historical context of both Afghanistan and Iraq you might have thought that Americans would have showed more interest in his speech. But bizarrely, the viewer numbers for the President’s Libya speech were slender. His audience on Monday night was 25.6 million—the smallest audience for any of his evening broadcasts. His annual State of the Union address and other special addresses to the joint Houses of Congress typically draw much larger television and online audiences. Military speeches typically draw an audience. His Afghanistan speech on 1st December 2009 drew an audience of 41 million viewers. And his 31st August 2010 speech about the ending of combat operations in Iraq attracted an audience of 29 million. But environmental speeches also do well with the American people. 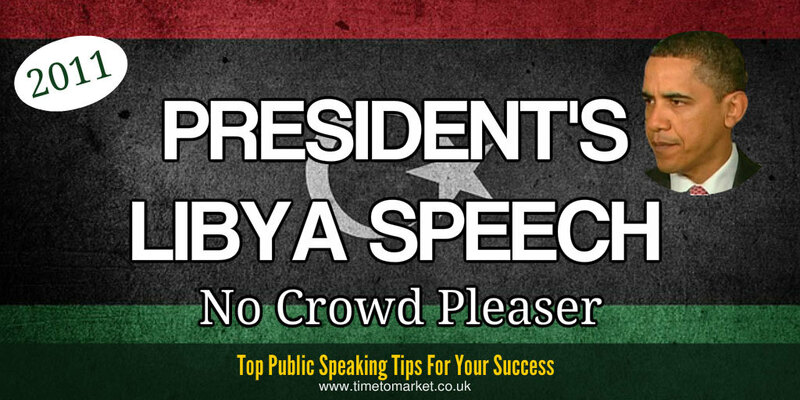 His speech on June 15th 2010 realised an audience of 32 million viewers. National tragedies also attract an audience. The President’s Tucson speech in January 2011 achieved an audience of 31 million viewers. So, what’s going on? Is there general inertia or do people not really know a great deal about Libya? It’s worth a thought. But the answer is probably more prosaic. The President’s Libya speech began at 1930. And that’s well before the prime-time TV scheduling. It’s very probable that many of his potential audience hadn’t yet settled in for the show so early in the evening. How was his Libya speech? It wasn’t a classic. The autocue worked but it was clear that the President hadn’t rehearsed this speech that much. There were stumbles with the phrase, “let that happen” and the word “refugees.” And he couldn’t decipher between the words “wanted” and “waited.” When you choose to use a speech prompter, it’s always good to note that autocue practice is needed. Tonight, let us give thanks for the Americans who are serving through these trying times, and the coalition that is carrying our effort forward. Give thanks. Yes, agreed, But a thanks for carrying our effort forward? A nonsensical phrase, Mr. President. But, unfortunately, there’s a lot of it about—as we found with this Ford Taurus presentation. So, an earnest Presidential Libya speech. Cold and clinical and absolutely on message about the action being taken. You can discover plenty of public speaking tips with our series of top tips for speakers and presenters. 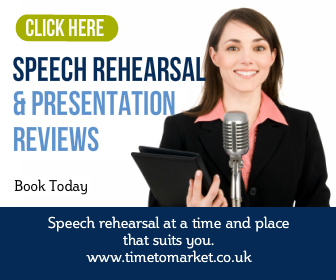 Because with more than 100 tips, podcasts and videos there’s something for every speech occasion. 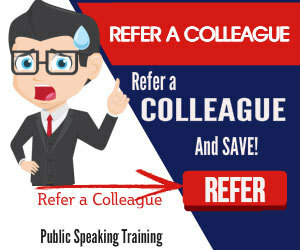 Plus, when you want to give your public speaking skills that extra boost, then you’ll find that some training or coaching is always a valued option. So, when the time is right, please don’t hesitate to get in touch.